If you have a brick and mortar furniture store but want to create its online variation, you’ve come to the right place. 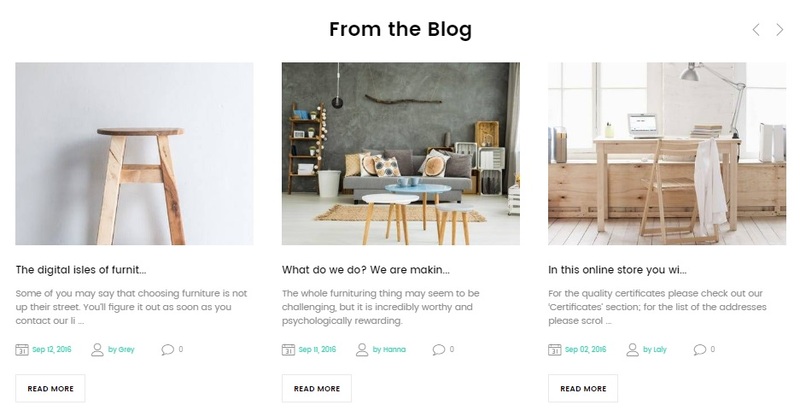 Below, we shed light on the Magetique Modern Furniture Magento 2 theme. This Magento 2 template is available on TemplateMonster and provides modern design and top-notch functionality. The Magetique Modern Furniture Magento 2 theme is a part of a large family of templates proven by the community. 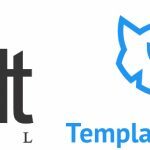 By choosing one of these templates you get a guarantee the it is a reliable product oriented towards your store visitors and administrators. And Magetique Modern Furniture is no exception. 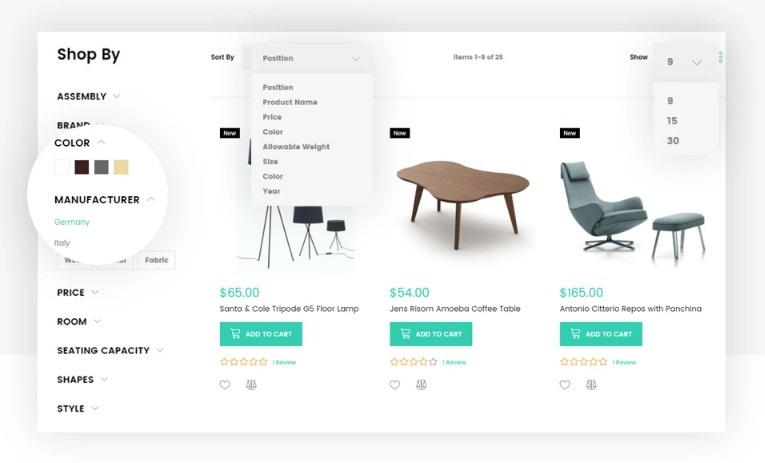 As for pre-installed extensions, the theme allows you to leverage several AJAX improvements related to search, category pages, wish list, and compare. Besides, you get a newsletter popup and search autocomplete. There are also such marketing tools as special price countdown, product badges (Magento 2 Product Labels Comparison), and blog. 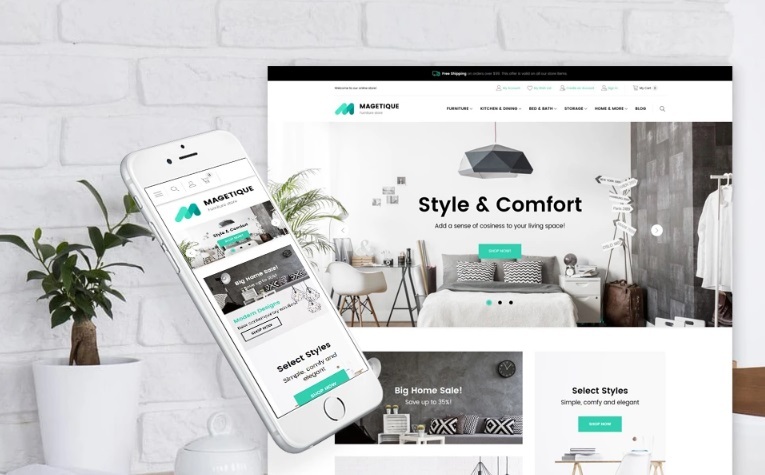 Shop by brand functionality, Google Maps integration, featured products, and various social sharing and login buttons are also a part of the Magetique Modern Furniture Magento 2 theme. And of course the template is fully responsive. 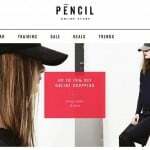 You no longer have to be afraid that your mobile visitors will leave the store without making any purchase due to unusable interface. The Magetique Modern Furniture Magento 2 theme is fully responsive and this means that all screen sizes get the same top-notch treatment. As for the aforementioned theme color switcher, it allows to change store palette within just few clicks. It is very useful if you want to apply a new design. The time-saver will help you dress up your store for the holiday season and return its common appearance back. 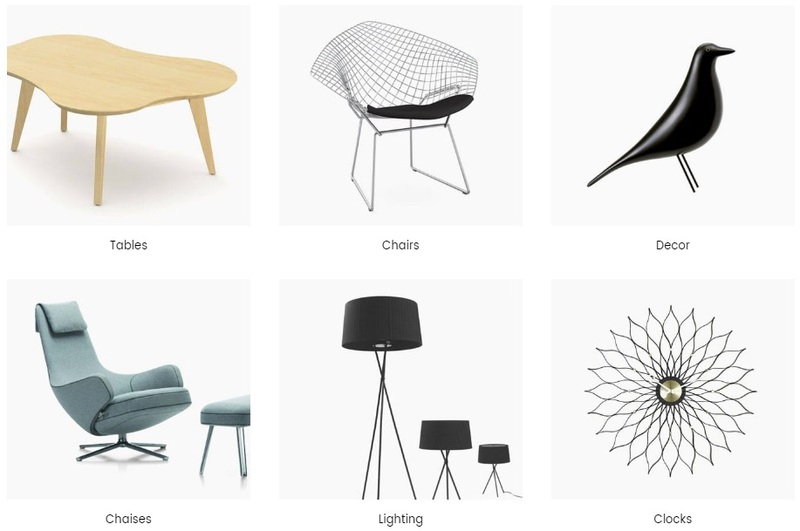 Sorting options of the Magetique Modern Furniture Magento 2 template are worth your attention as well. The theme provides a huge list of parameters to sort every category page by. Besides, you can choose the amount of items displayed per page. AJAX search is another important element of the theme. It not only works fast, but also supports the autocomplete functionality, so with every new character the selection of items becomes more precise. In addition to products, the search results list displays categories. The Newsletter popup extension provides a more efficient way to get new subscribers. The extension display a popup window with newsletter subscription form every time a visitor comes to your store for the first time. Although this seems irritating, the approach works perfectly. The Slider module allows to promote new goods, sales, or special offers. Alternatively, you can use it for everything else. It is a great way to attract the attention of store visitors, so use engaging background images and informative descriptions. As for blog, it is built to last. Use it as an additional way to communicate with customers, describe your brand and goods you sell, and of course improve store SEO. View more blog extensions for Magento 2 here: The Best Blog Extensions for Magento 2. Use product badges to attract the attention of customers. 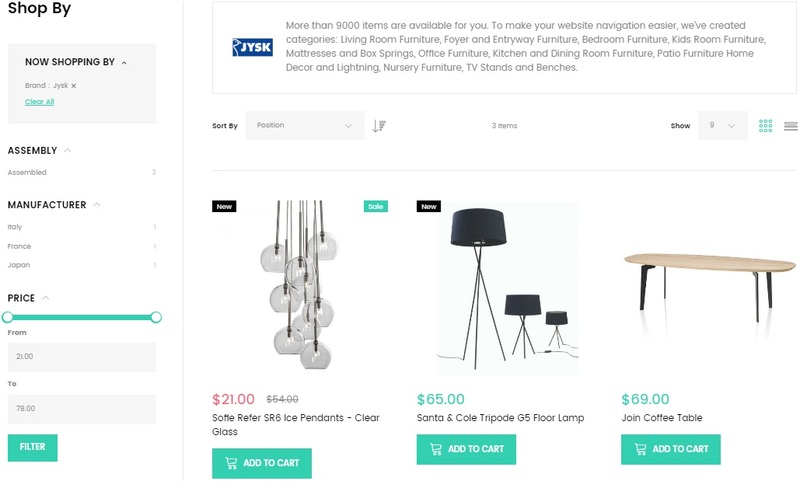 Indicate new goods or sales – you can freely do this with the Magetique Modern Furniture Magento 2 template. How all these features are implemented on frontend? you can find the answer below. Main menu (categories + blog) + search. It is obvious that the second example is more engaging, informative, and user friendly, so the importance of the Mega Menu extension is hard to overestimate. 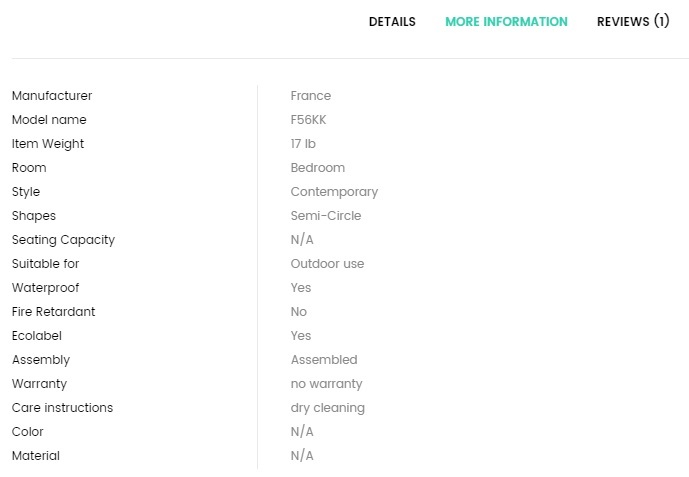 Below, you can see images that point visitors to appropriate categories. It’s an alternative to the main menu. 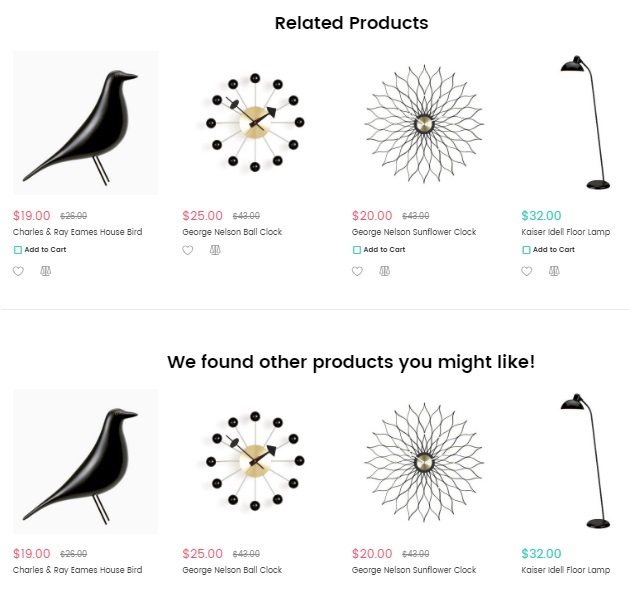 A product carousel is another home page element. 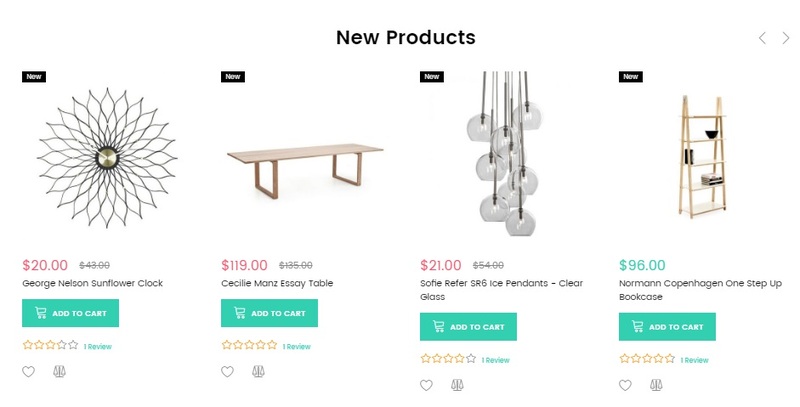 The first carousel you discover is related to new products. 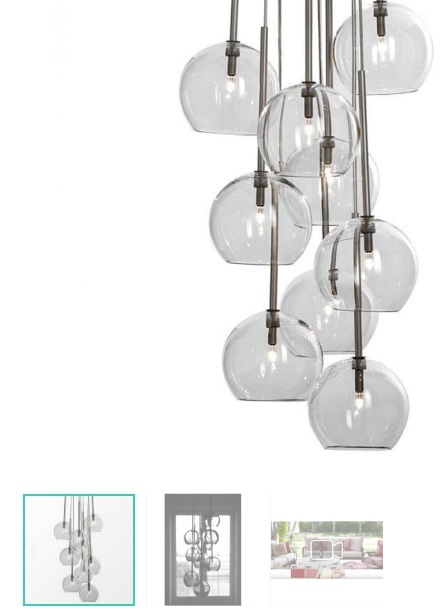 It shows product image, price, name, and rating for each item. 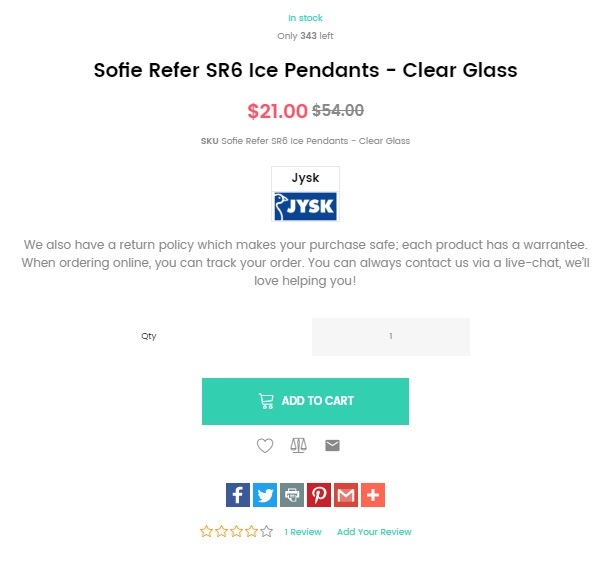 You can add a product to cart/wish list/compare as well as view reviews. Next, there are two more static blocks promoting various categories. 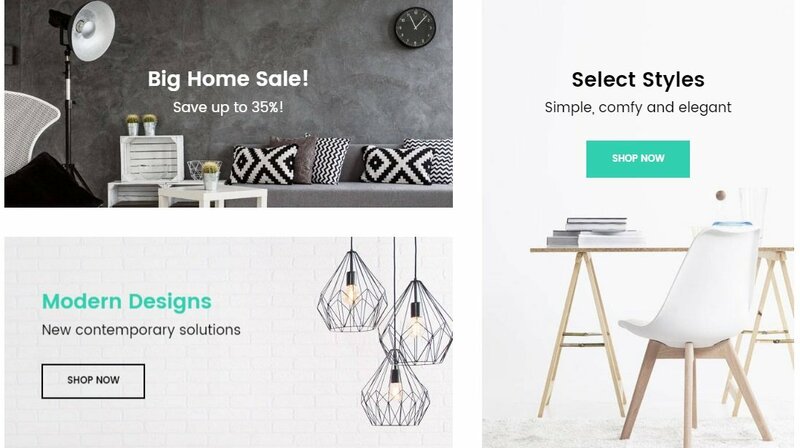 Besides, the Magetique furniture store Magento 2 theme allows to shop by various subcategories (each one is related to a special type of products: desks, sofas, tables, bookcases) and brands. Below, we describe both category page structure and shop by brand functionality. 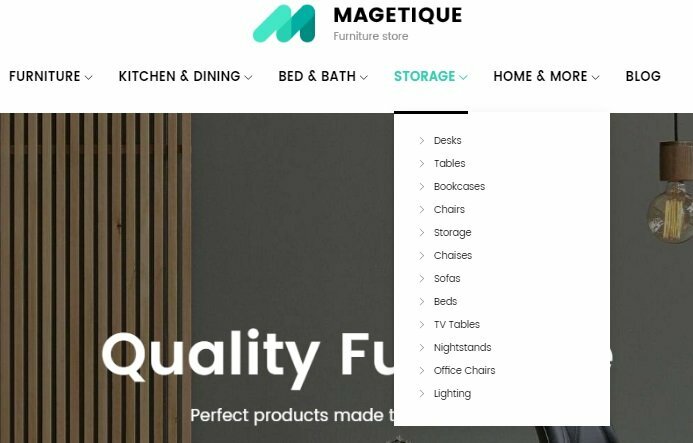 The Magetique Modern Furniture Magento 2 template allows to create category pages dedicated to certain brands. You can add brand logo and description to each brand page. It is possible to sort products by position, name, price, color, allowable weight, size, and year. you can switch between grid and list layouts as well as display 9, 15, or 30 items per page. As for filters, it is possible to apply only one filter parameter at a time. The amount of available items is displayed in front of each filter option. If you want to improve the problem with multiple filter parameters, check this modules: Magento 2 Layered Navigation Comparison. Next, you can see in stock availability, product name, price, SKU, manufacturer, and short description. 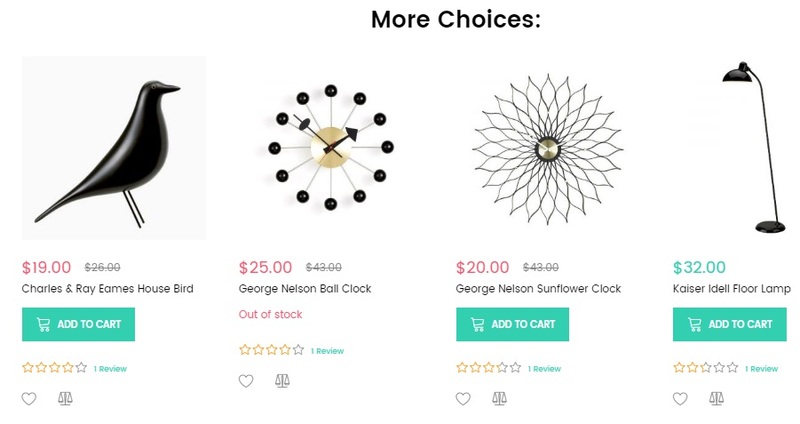 Besides, it is possible to specify product quantity, add it to cart/wish list/compare, send to friend, share on social networks, rate, view reviews, or leave comments. Another product page section contains three tabs. The first one is called Details and contains full description. Next, there is a grid with additional information – More Information. The last tab contains a section with reviews. Below, there are two product carousels: “Related products” and “We found other products you might like!”. 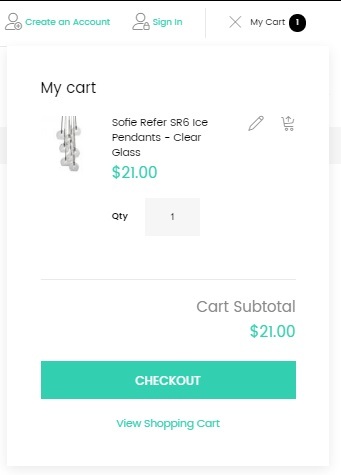 We’d like to start our shopping cart exploration from the mini cart widget. As mentioned above, it is situated in the header on the right. 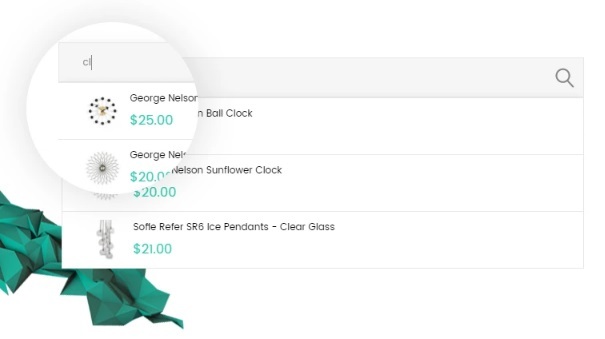 The widget allows to view and edit product details and cart subtotal as well as proceed right to checkout or go to a cart page. Besides, there is a summary section that allows to calculate estimate shipping and tax and apply discount codes. Below, you can see a product carousel aimed at increasing sales. 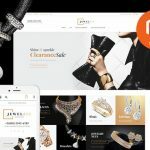 The best shopping cart Magento 2 modules are available here: Magento 2 AJAX Cart Extensions Comparison. You can reduce the procedure to a single step with the help of any Magento 2 one step checkout extension.